Definition of upper motor neuron. a neuron that extends from the cerebral cortex or brainstem to synapse with a lower motor neuron (usually in the spinal cord). 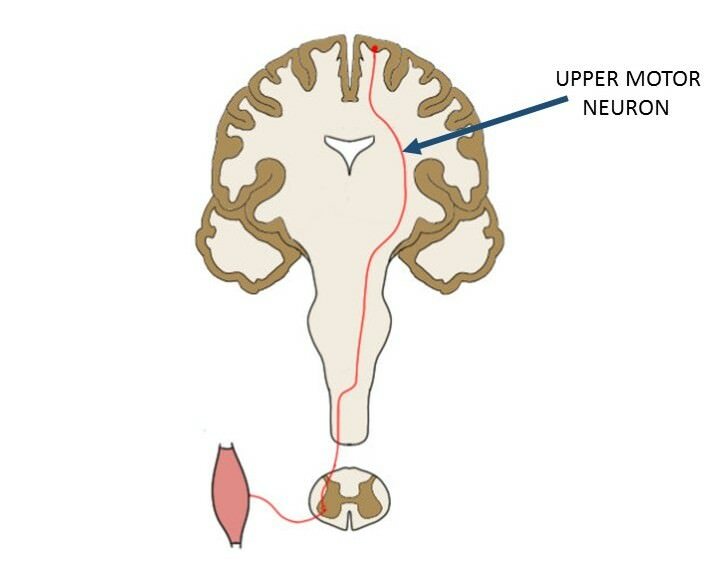 Upper motor neurons control the activity of lower motor neurons, which control the activity of muscles to produce movement.